Religion – Tales by a Socialite! Except the religions of Indian origin, each and every religion of the world possesses a divine book, which prescribes their religious duties and moral code for their followers. 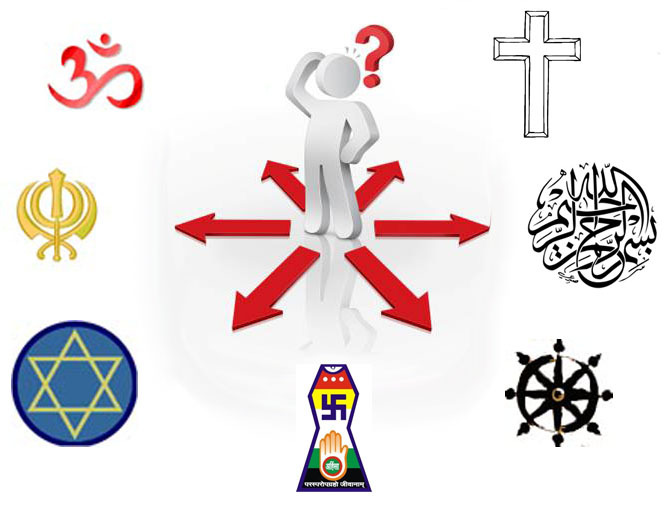 But it does not mean that the religions of Indian origin do not have their own religious books, only problem is that among the somatic religion, each and every religion have only and the only book, which is considered as divine and authentic, which the religions of Indian origin possesses many books and they consider all of them as divine and authentic. But among the religions of Indian origin in due course of time, Hinduism accepted Gita, as their authentic and divine book. Similarly, the Buddist accepted Dhammapada as their authentic religious book. 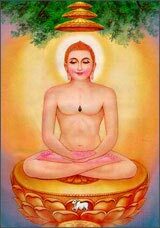 But their was a problem with Jainism because of their different sects, Shwetambaras accept the Uthradhayana as their authentic religious book where as Digambaras do not accept it as an authentic book. Thus there was no any common authentic book which was accepted by both sects. Though in Shwetambra Munis were not accepted by the Digambaras. All this created the so called united Jain religion with great values which could have been great er. The scholars are extremely good speakers of the society and surprisingly, people do act on their saying as well but what is happening actually? Did anybody tried to notice? Answer is “No”. Suppose, there are 100 total values prescribed by Lord Mahaveera for Jainism, now, obviously there is no record of these, so, people took what they liked and started preaching. A valid question comes to my mind instantly after listening to this that why does a Digambara prefers a naked body and handful of lunch & dinner & if this was prescribed by Lord Mahaveera, why does Shwetambaras, reject this and follow a particular clothing sense and eat in their own vessels. This is just one question raised, I am sure of “n” no. of questions lined up which are still unanswered and I don’t see anybody even answering the same. Is it because the public is too scared to challenges the scholars? the Munis? the Acharayas? Why do we listen to the “Good ways of living by them?”, other religions like Islam, Christianity etc. also have the same values and sayings, after all, all provide peace of mind in the end. This is not about naming one religion or two rather its about the entire Indian Belief. Disclaimer: The above analysis, views, suggestions, propositions are solely done by me. Also, it has no-criticism and no relation to any individual or religion.